We're so excited! We're so excited! Missing your favorite pals from Bayside High? 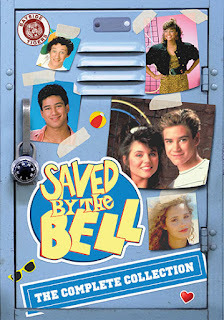 It's alright, 'cause you're SAVED BY THE BELL! Conduct your own class reunion with this Max-ed out collection of the iconic 90s Saturday morning sitcom. The adventures of Zack and his friends – Kelly, Slater, Jessie, Lisa, and Screech – were a cultural touchstone for a generation of teens. Now, you can relive the laughter, lessons, and love (Zack + Kelly 4EVER) all over again. From JFK Junior High to Cal U, Miss Bliss to Mr. Belding, Malibu Sands to Hawaii, and dance contests to "dearly beloved!" 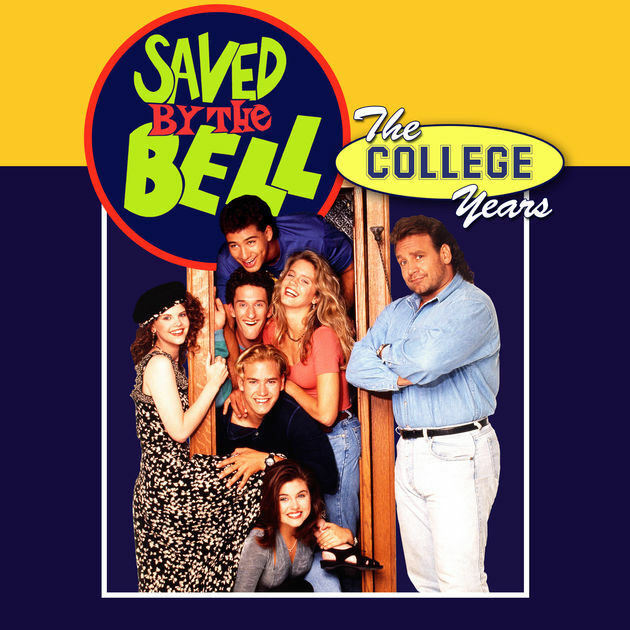 With 118 episodes from all three series – Good Morning, Miss Bliss, Saved By The Bell & Saved By The Bell: The College Years, plus both movies and a locker full of special features, this Zack Morris megaset is a must-have for fans! After a few basic releases by previous companies by NBC, that had almost no effort outside a commentary or two to accentuate the series popularity or even truly entice fans. But Shout Factory has picked up the ball and ran all the way home with it. First the elephant in the room. Let's talk about Miss Bliss. For those who may not remember, Good Morning Miss Bliss was the series that made all this happen. The original series that would be somewhat of the model as what the show would become starred Hayley Mills as the titular character and introduced the characters of Lisa, Screech, Zack and Mr. Belding. After being looked at as a bomb, it was cancelled and only a handful of characters carried over to the next series. This was always thought of as something that would never see a home media release. Indeed, for years many fans had relied on bootleg sets from conventions or other methods such as torrents or bootleg sites to complete their set. Now they have their chance to own it legally. A few notes of course. The original Miss Bliss intro used on the Disney Channel will not be included. This shouldn't be a shock as many fans had thought them to be lost or even extremely altered once the show got repackaged as "Saved By The Bell" in the early 90s during syndication. Another concern for some fans were as to whether or not the syndicated "Zack Introductions" were included. By that, I'm referring to intros done with Mark Paul Gosselaar running down the stories of the episodes at the beginning in a way to bridge the two shows so the audience wouldn't be confused. Some episodes in the collection do contain these, some do not. On top of that, some of the original brief cold opens are included, while some episodes just go straight into the SBTB intro. The original pilot, featuring a slew of future teen stars like Brian Austin Green, Jaleel White and Jonathon Brandis is not included either. But for those who are keen to the way TV sets are released, this can't be a shocking development as most collections don't include pilots for one reason or the other. While it would be a nice inclusion to the set, the SBTB purist in me isn't bothered. With none of the cast of the actual Miss Bliss series or even any connection to the later series, there's little to focus on here. In my opinion, just getting these episodes at all is nothing short of a miracle. Miss Bliss was a good show, a little weird if you had been introduced to the Bayside Universe later on. For most, getting these on dvd was always the holy grail. And while not complete, it is good to finally own. It's a little on the corny side and can come off as dated but for some, this will be the main reason to buy this set. Now on to the main series! The show that changed Saturday morning forever! The main series became a huge success after a rocky beginning (the show was not a huge favorite of critics at first) by introducing ridiculous situations with charismatic characters that all teens could somehow relate too and live vicariously through. The only characters to be brought on from Miss Bliss was, Belding, Zack, Lisa and Screech and some more favorites were introduced: AC Slater, Kelly and Jessie and the show flourished. To some, this was the best Saturday morning tradition and for some, still remains a favorite to watch with a giant bowl of cereal every weekend (yes, me.). All the favorite episodes are presented with great sound and picture and in some cases, with the most memorable episodes, include commentary from cast, crew and fans. 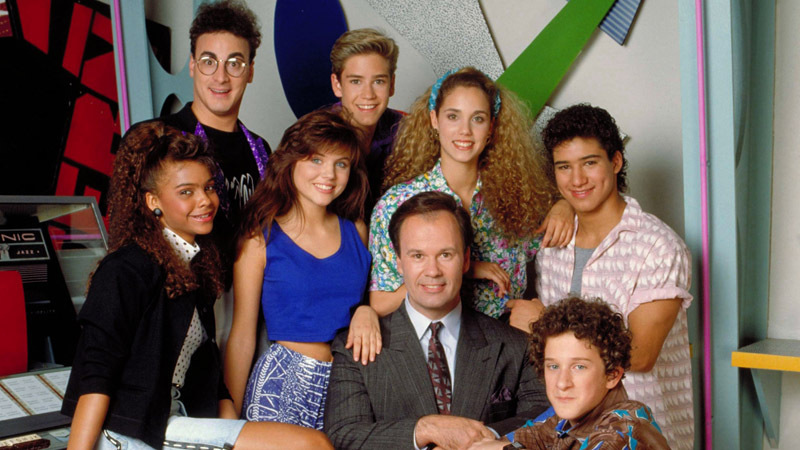 "Like many television series, the order in which Saved By The Bell’s episodes were produced does not necessarily reflect the order in which they were aired. Consequently, some episodes aired noticeably out of sequence in terms of depicting the ages and shifting relationships between the characters. This is particularly pronounced in Season Three, when Saved By The Bell began airing two episodes a week — usually a school-based episode followed by an “adventure” episode which saw the gang journey beyond the halls of Bayside. In spite of these anomalies, we have attempted to present the episodes in airing order with the notable exception of the “Malibu Sands” story arc, which is presented in sequence here at the end of Season Three, in order to best serve the viewing experience for fans. Executive Producer Peter Engel was consulted on this matter, and he approved our decision to present the episodes in this manner." Not much I can say about this. In fact, I'm very appreciative of the effort to present a very clean and seamless continuity. Really makes the set even more special and shows how much care and effort Shout put in to this release. Now on to the College Years. Fans who already said goodbye to their favorite characters a few months before, were presented with a look at what our heroes in college. A few characters, namely Lisa and Jessie, were left out of this series. Instead, we were introduced to new characters: Danielle, Leslie and Alex, who balanced out the familiar male cast. Also introduced, former football star, Bob Golic who played Dorm Adviser Mike Rogers, who was a comic foil to the younger cast. Appearances by Mr. Belding, Kelly and Lisa were used to peak interest but sadly couldn't. 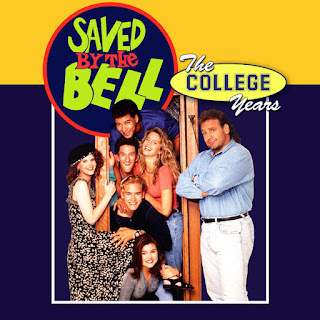 The show wasn't as successful as "the high school years" despite what NBC would hope, as some people were ready to move on to other, more mature shows or were not willing to take a show that had originally aired on Saturday mornings and essentially a live action cartoon too seriously as a prime time show. The show does remain a favorite of a portion of SBTB fans who were eager to see how their favorite characters fare in a more loose environment with a little more budget and more serious storylines. But for most, other than seeing the relationship between Zack and Kelly go through hills and valleys, the show is normally forgotten. No extras are included in these episodes. The made for tv movies, Hawaiian Style and Wedding In Vegas also included as a great bonus. The final chapter in the "Bayside Saga". Hawaiian Style aired during the original series (1992 to be exact) so fans were super eager to accept it as another chapter in the Bayside Mythology, whereas Wedding In Vegas aired in 1995, a year and a half after The College Years went off the air, most if not all fans had moved on and ready for a small break. 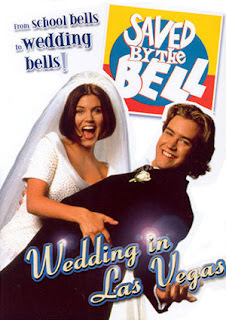 A nice, cute little story showcasing the big day for Zack and Kelly as they tie the knot in Vegas while hijinx arise all around them. I was 11 at the time, when the Wedding movie so I remember being excited for it, but most of my friends had moved on and didn't care. But seeing where we started with Miss Bliss to this, it's a great cap to an unbelievably fun series. The new documentaries, filmed for this special set, were the highlight in my opinion. Close to an hour long about the history of the show featuring cast and crew shed light on the process of telling the stories of our favorite characters and stories. Also included is a documentary on how the music was created and helped make the show so memorable. Archived features from previous releases were also included and even though the newer documentaries are more informative, the older extras are still fun to watch, so don't write them off! If you've grown up a huge fan and never given up on this show even when others deemed it too silly and immature to watch, this is the set you've been waiting for. Shout! Factory really pulled out all the stops to create the one and only box set you need to own. So grab your skateboard, head out to whereever DVD's are sold to pick this up and then hit The Max for a Max-Burger! I simply cannot recommend this set enough. It's pure 80s/90s perfection! Why Exorcist 2 Isn't So Bad Afterall!